As craft cocktails continue to grace the drink lists of more and more menus across the country, stylish bar carts filled with craft liquors and unique ingredients are rising in popularity as well. 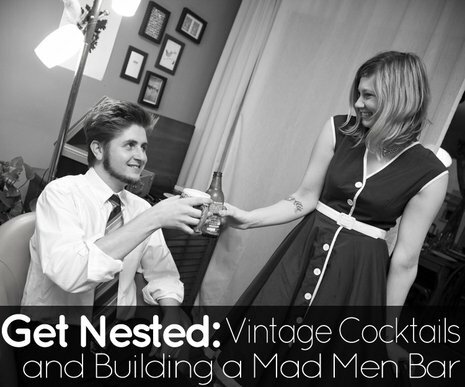 Today we're going to share what we consider to be the essential components of every good bar cart. 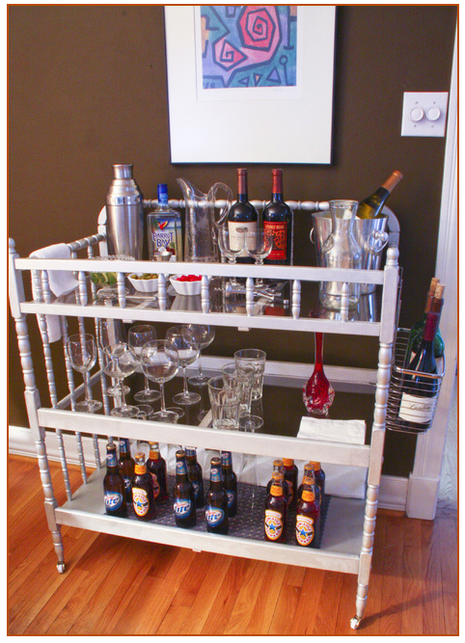 Bar carts can be pricey. Like waste-your-whole-paycheck expensive. But every now and then you can find a really great inexpensive alternative... and I'm here to share five of my favorites with you. Back in 1977 a Sylvania 25" color console TV would set you back a whopping $530. Adjust for inflation, that would cost us $1,840 today*. Ouch. 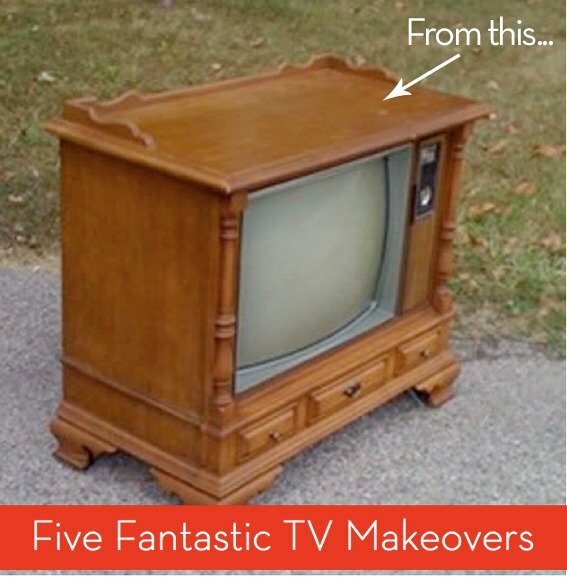 Next time you see an old console TV, keep that in mind and then think of these makeovers. I have a wine rack. It's okay, but matches my taste from about a decade ago as opposed to now. While perusing the shops for a new one I came across this industrial chic version that can be DIYed with only a few materials. An old ammo box turned into a wall mounted wine bar?? 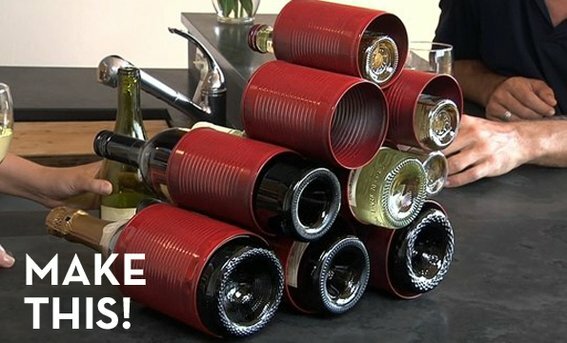 A store-bought version will set you back 300 bucks at uncommon goods, but it could be easily DIYable. Just gotta find the right ammo box...or build your own. It's heartbreaking to come upon, consider and ultimately pass up a behemoth like a fab retro TV cabinet or stereo console due to the logistics of hauling it away and extracting the innards. 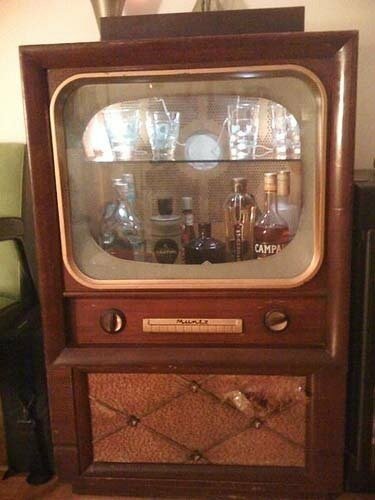 Our friends over at ApartmentTherapy found photos of this clever TV to dry bar conversion that some brave souls undertook. Mad Scientist Mixology: Halloween Cocktail Recipes. A giant bowl of wispy punch is certainly festive, but a true ghost-host offers their guest customized cocktails that suit their own tastes. Here's a few ideas to get your fall festivities popping. What do you get when you take four unfinished armories and Curbly them up? Inspirational photos like you wouldn’t believe. For individual components of each project, visit BHG, but be advised, there is an inordinate amount of advertisement pop-ups on this site!